Daniel Woodrell writes as well from a woman's perspective as Patricia Highsmith writes from a man's perspective. Winter's Bone explores a meth-plagued community in the Ozarks, and is the epitome of rural noir. 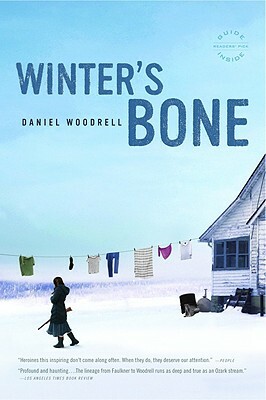 Daniel Woodrell's five most recent novels were selected as New York Times Notable Books of the Year, and Tomato Red won the PEN West Award for the Novel in 1999. He lives in the Ozarks near the Arkansas line with his wife, Katie Estill.